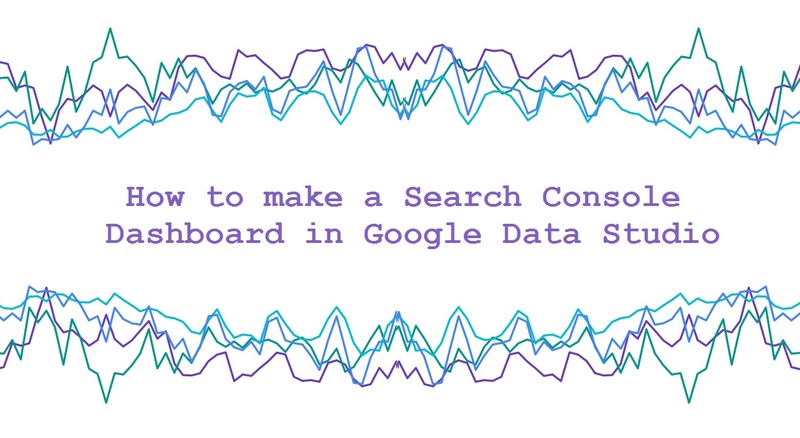 In today’s post I give an example of how to create a Campaign Dashboard in Google Data Studio. This is based off of Campaign data in Google Analytics. Below is the report in Data Studio. 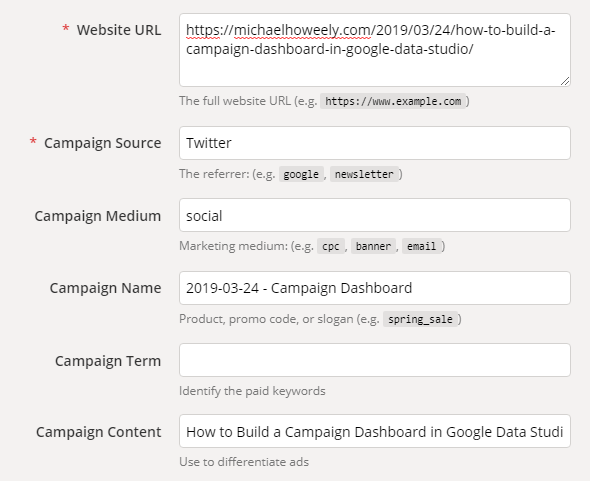 In order to track your marketing campaigns in Google Analytics, you need to use the Campaign URL Builder. 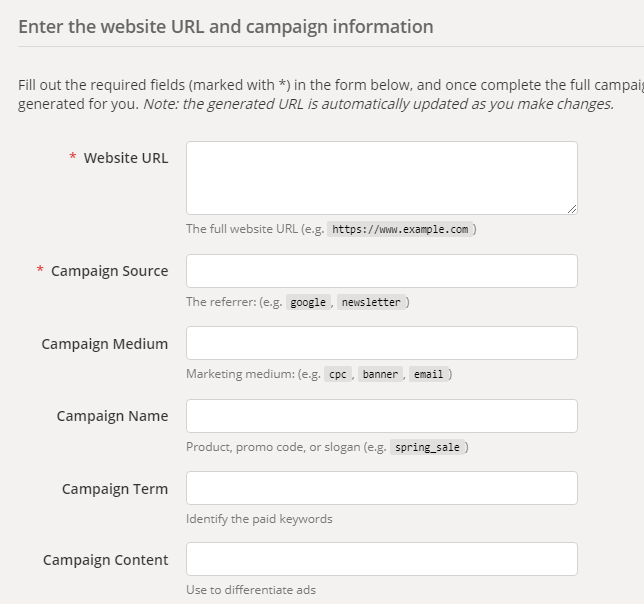 Below is the form where you’d create your custom URL to track campaigns. Let’s use this post as an example. Let’s say we want to share this on Twitter to see how many people view the blog post. We now have our custom URL generated by the URL Builder. We can then shorten this link using Bitly by clicking “Convert URL to Short Link”. We can then share this URL on Twitter. When people click on the link, they’ll be taken to this page. Next I’ll show how to build a dashboard to track these types of posts. The first thing we can do is figure out an easy way to sort Campaign pageviews from non-Campaign pageviews. One way of doing this is by using a CASE statement. Go into your Google Analytics data source and click ‘Add a Field’. I’ve created a very simple CASE statement to sort out campaign relevant pageviews from everything else. 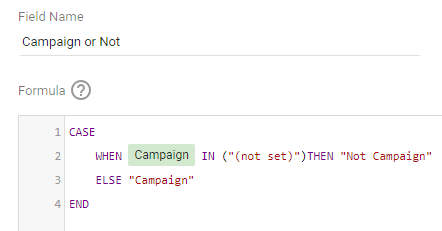 WHEN Campaign IN ("(not set)")THEN "Not Campaign"
I’ve named it “Campaign or Not”. We can now build a bar chart to see how much of our pageviews come from Campaigns vs everything else. For our other charts in this report, we want to only include “Campaign” data and not “Not Campaign” data. To do this we need to create a filter we can apply to the rest of our charts. The filter you can create is pretty simple as shown below. We can create a scorecard and a line chart to show the total number of campaign pageviews as well as the number of pageviews over time. Google’s URL Builder lets you specify the Source, Medium, Campaign Name and Campaign content of your link. So I’ve created a table showing that information. I’ve also created a geo map showing the number of pageviews by country. 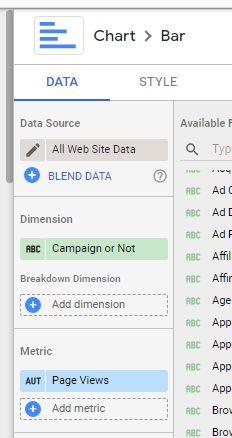 For both the table and the geo map it’s important to add the “Campaign Only” filter to ensure you’re only looking at traffic from campaign links.